1.Prick the chicken in 2-3 places, marinate in the mixture and keep for 3-4 hrs. 2.Heat the oil in a heavy-based pan and put the chicken pieces into it. 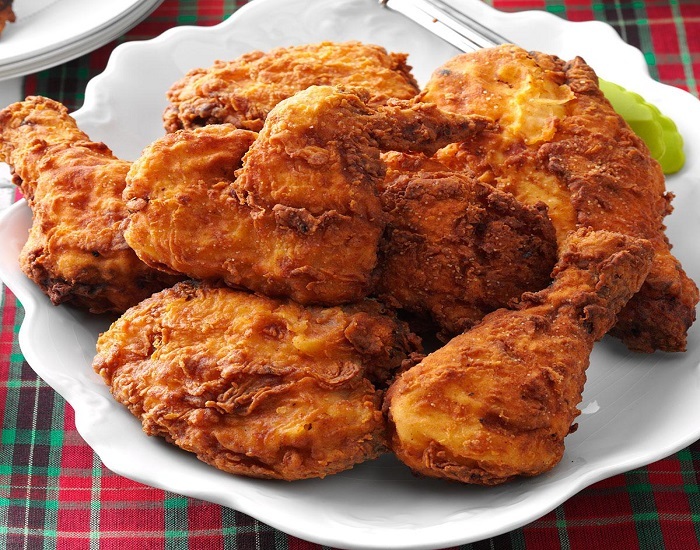 3.Deep-fry over a medium flame, till the chicken is tender. It takes 15-20 minutes. 4.Serve garnished with lemon twists and coriander leaves.